Pinot Noir Is More Than Wine, It's Our Passion! Redman Wines is delighted to announce the sale of Redman Vineyard and Winery to Bergstrom Wines. 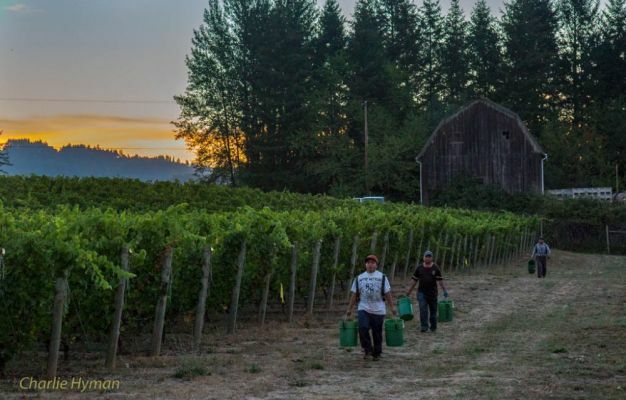 Welcome to Redman Wines, located in Oregon, nested alongside Ribbon Ridge Proper, just northwest of Newberg. We pride ourselves in making rich well-balanced wines with intense and layered aromas, followed by mélange of flavors, including blackberries, red raspberries and cherry wood. Ending with warm baking spices, silky tannins and a finish that is long and persistent. We believe in diversity of clones and delicate wine making approach. The soil of Redman Vineyard is predominately Willakenzie, with an elevation of 450 to 550 feet above sea level. We have 30 beautiful acres with gentle southern slope, allowing maximum southern exposure, warm days, cool evenings and coastal breezes. We are ecstatic to finally see the physical manifestation of our dream. We invite our friends and family to join us on our journey, as we pursue our passion......REDMAN WINES. & Monday thru Thursday Open by appointment.